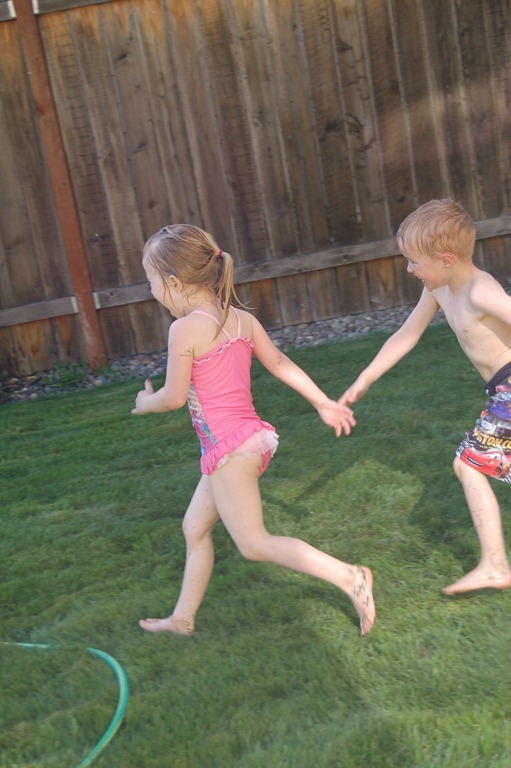 It’s not exactly summer here, but with 78 degrees, it’s close enough for the kids to ask for the sprinklers. 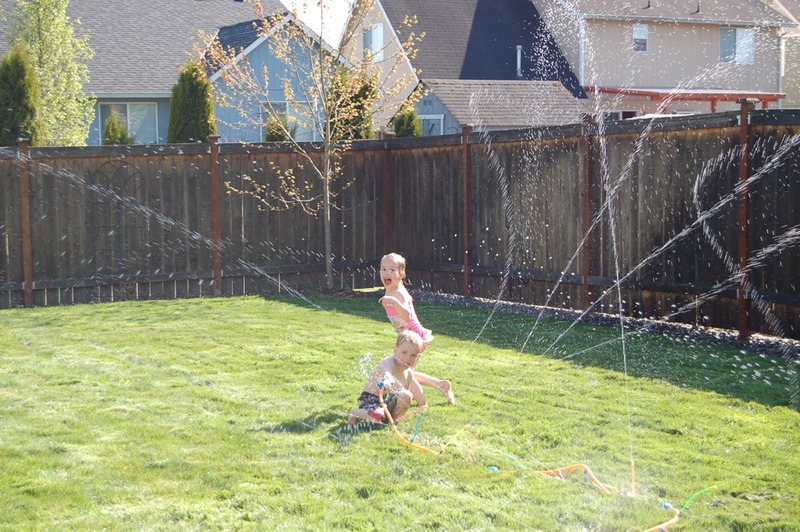 So on the sunniest, warmest day so far in 2012, we had showers of the kid-made kind. The screams they made while playing sound a lot different from the ones they make when fighting. These are the good Sunday afternoons.